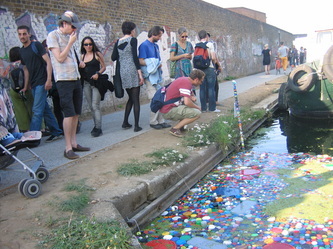 ‘Parkesine’ pays homage to the rich industrial and manufacturing past of HWFI (Hackney Wick Fish Island). 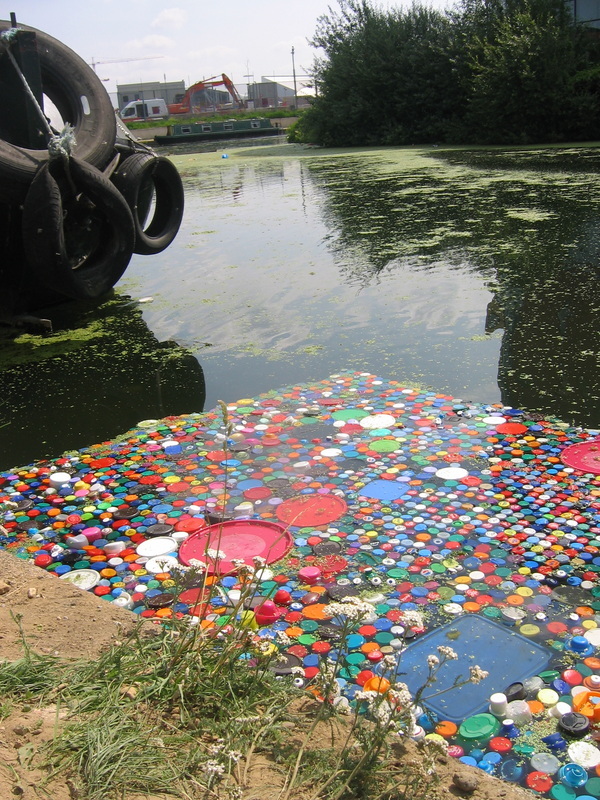 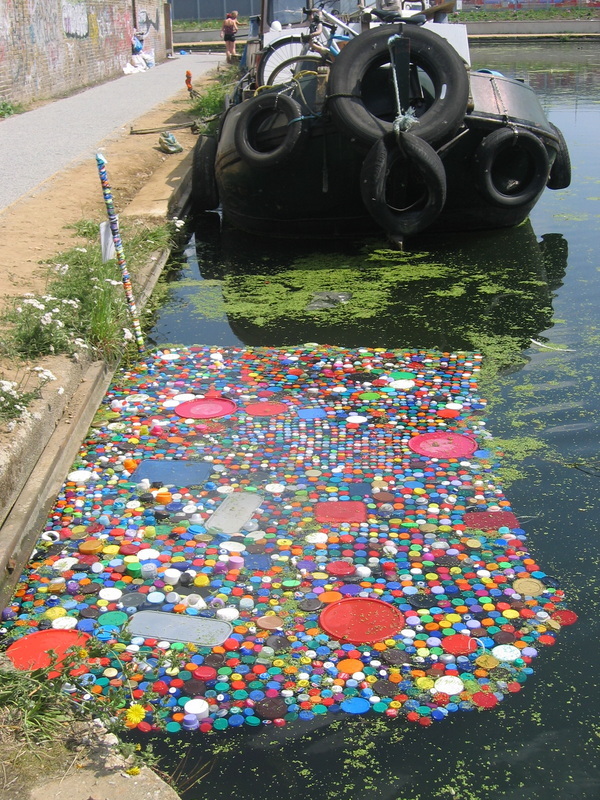 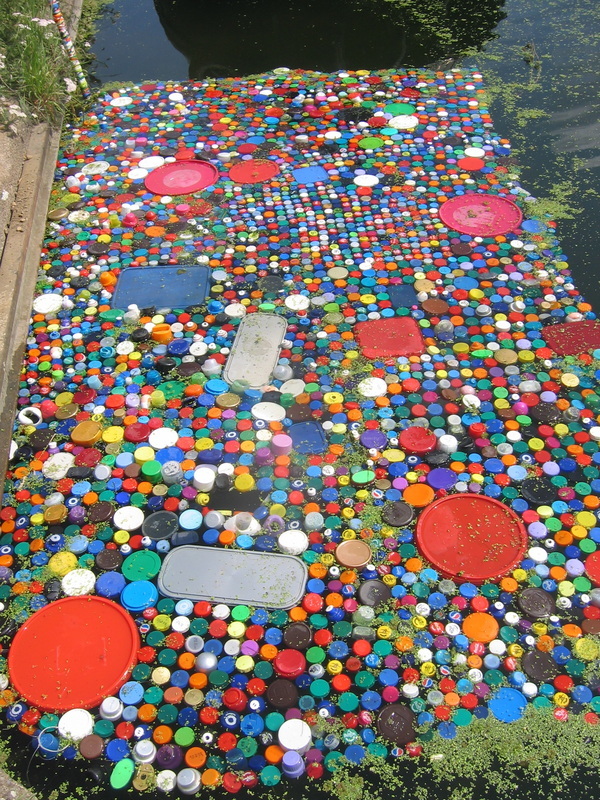 The worlds first plastic was invented and manufactured in Hackney Wick by Alexander Parkes in 1866 and in 2011, thirty tonnes of plastic are removed each year from the nearby river Lee. 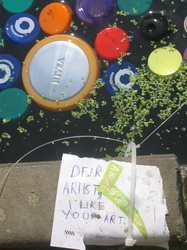 The idea for the floating island originated on the nearby and world famous Hackney Marshes football fields (the world's largest concentration of football pitches 88 in total) when the artist discovered local football players leaving their sports bottles scattered all over the landscape. 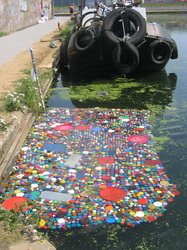 In it's current format the island is 2 x 3 metres in scale and home to 4000 tops/lids, each connected by a minimum of four cable ties. 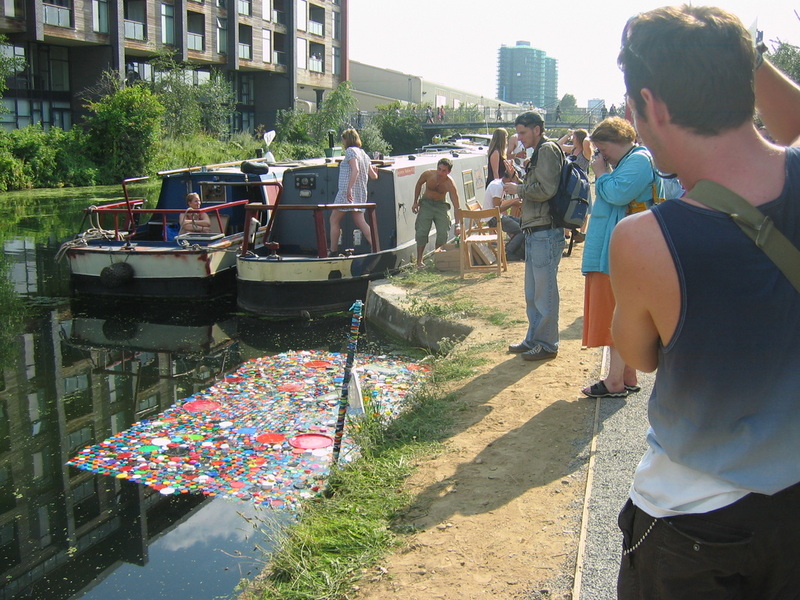 It's next transition will hopefully be to increase in size to that of the nearby canal boats. Artist, Russell Thoburn has lived and worked in the area since 2004, combining his fine art practice with facilitating art workshops exploring recycled materials. 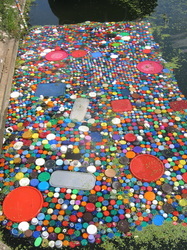 His personal work has been exhibited throughout Europe and America, handled by Sotheby's, Harrods and he’s been profiled by the Daily Star, New Statesman and the Sunday Times. Parkesine was partly funded by weareartists how can we help, an initiative by Design for London and Muf art and architects.